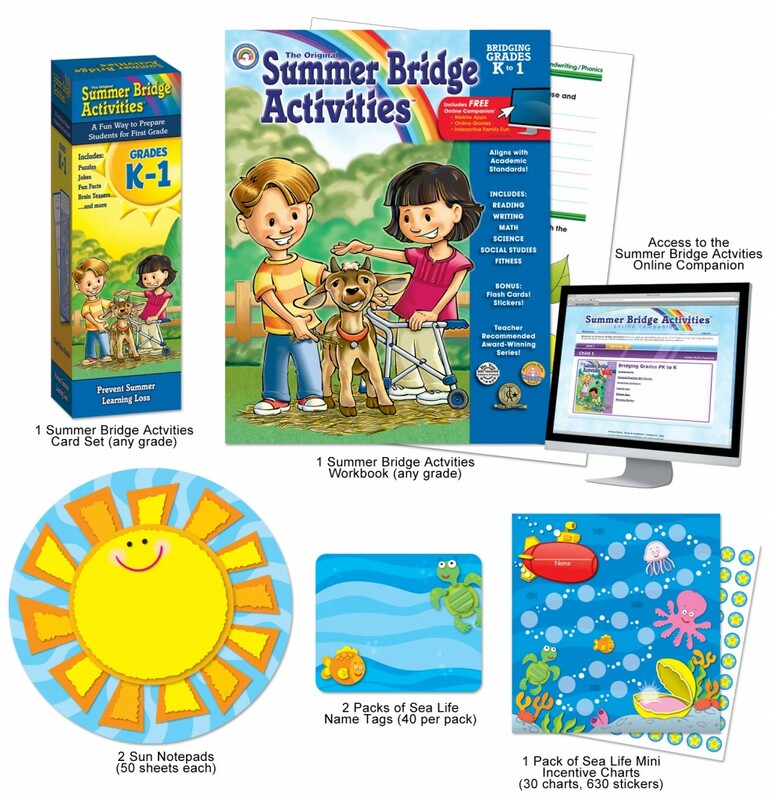 Carson Dellosa Summer Learning Gift Pack Giveaway!!! Around this time of the year, as I get ready to say good-bye to my little ones and send them off for the summer, I must admit I've always worried about my kiddos forgetting valuable skills when they get to first grade. In the age of technology, it's a sad reality that for many, reading books may not be as important as it once was. According to a study by John Hopkins University, by the time students reach 9th grade, the lack of summer learning can be the cause for an estimated two- thirds of the achievement gap. Additional studies show that students can lose up to 2.5 months of learning throughout the summer. In some instances, teachers spend at least 2 weeks- some even up to 4 weeks, re- teaching skills lost over the summer. This makes for a difficult back- to- school transition which can be prevented. Carson Dellosa is committed to assisting parents and teachers alike close this gap. If you have a minute be sure to check out their website- they are currently running a sale up to 85% off over 600 products!! Who doesn't love a great sale? I would love this! Can I participate from Spain? Lita, I'm sorry but due to high shipping costs they informed me the giveaway is only open to US & Canadian residents. Do you know someone that lives in the US or Canada that could ship it to you if you won? This way it would still be shipped to a US or Canadian address. What an amazing giveaway! Thanks for sharing! I am glad I found your blog! This is an awesome giveaway but I'm also looking for materials for my little boy. Love your blog and am excited about this great giveaway.